"We have no idea about where the Israeli soldier is or what is the situation. "We lost contact with the group who made the suicide mission near Rafah after it was done. "We believe everyone in this group was killed by an Israeli air strike including the Israeli soldier who the Israelis are talking about having disappeared." Israel Says Fate of One Soldier in Ambush is "Unclear"
Update: since writing the post below, the Israeli Defense Forces have posted on Twitter that they are trying to "identify" (not locate) the 7th soldier. Nor do they describe him as "missing." A vehicle carrying 7 soldiers was attacked July 20. We have identified 6 of their bodies. 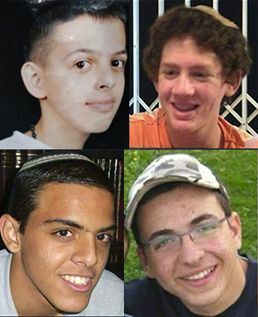 Efforts to identify the 7th soldier are ongoing. On Sunday, Israel's ambassador to the U.N., Ron Prossor, denied Hamas had captured an Israeli soldier. Earlier today, Al Qassam Brigades, the military wing of Hamas, claimed it captured an Israeli soldier, Shaul Aron. Israel's ambassador to the U.N., Ron Prossor, now denies the claim. "There's no kidnapped Israeli soldier and those rumours are untrue," said Israel's UN ambassador Ron Prosor. It appears the soldier, whose name is Oron Shaul, was one of 13 Israeli soldiers killed yesterday, but was not captured alive. Hamas may have found his identification, or it may have taken his name from this leaked list of the 13 soldiers who were killed. The list is not from an official source. Hamas spokesman Sami Abu Zuhri already rejected the proposal late Monday night on the grounds that "we are still under occupation and resistance is the right of our people." Here is the text of Egypt's proposal. Update: Reuters reports a ceasefire has been agreed to. Yesterday a truce between Israel and Hamas seemed very close. Hillary Clinton traveled from Israel to Egypt for further truce talks. Today, a truce seems less likely. As to what's changed? Hamas has stepped up its rocket launches into Israel, firing 80 missles into southern Israel in the past 24 hours. 20 were intercepted, in Ashkelon, Beersheba, Be'er Tuviya, Hof Ashkelon and Ashdod. A package bomb was placed on a bus in Tel Aviv today (no deaths, several injured, seems to be the work of amateur terrorists). On al Aqsa (Hamas) TV: "G-d willing, we will soon see black body bags." Israel has declared a ceasefire in Gaza. 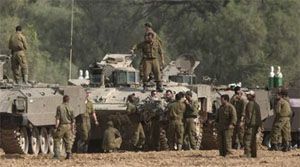 Troops would remain in Gaza for the time being and if Hamas held fire, the military would "consider pulling out of Gaza at a time that befits us". 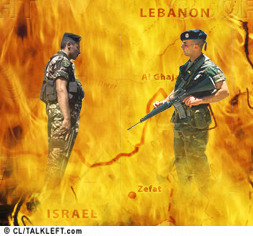 If militant rocket fire into Israel continued, Israel would respond with force, the Israeli leader added. Israel must withdraw completely, lift its economic blockade of Gaza and open border crossings, the spokesman said. There was a cease fire but it ended earlier this month. Most of the 225 killed were militant Hamas policemen, since a principal target was Hamas police headquarters, although hundreds were injured and there were some civilians and children who died. Most of the strikes were on security compounds and militant bases. "We strongly condemn the repeated rocket and mortar attacks against Israel and hold Hamas responsible for breaking the ceasefire and for the renewal of violence there. The ceasefire must be restored immediately and fully respected." This can't be good news for Obama, who will take office with Iraq, Afghanistan and Pakistan already on the front burners. And neither he, nor any American president, may have much control over what goes on between Israel and Hamas. Daniel Levy at Huffpo adds his perspective. Your Thoughts?